Set off from our central Paris agency at 9:15 am. Your first stop will be Vaux the Vicomte, the château that inspired King Louis XIV to build Versailles. A masterpiece of mid-17th Century classical architecture, the château and its grounds were created by three talented artists working for Nicolas Fouquet, a rich, high-ranking French official and Louis XIV's superintendent of finances. These three artists were the painter and decorator Charles Le Brun, the architect Louis Le Vau, and the landscape gardener André Le Nôtre. Your audio guide will show you Nicolas Fouquet's private apartments, the state rooms, and the château's great kitchens and vaulted cellars. Then enjoy some free time strolling through the stunning French-style formal gardens in the 86 acre grounds, home to sculpted bushes, lakes, and beautiful multi-coloured flower beds. Why not take the opportunity to eat lunch on the lawns or in the Vaux le Vicomte restaurant? Fontainebleau is the only royal and imperial château to have been continuously inhabited for seven centuries. Dating back as far as the 12th Century, it was one of the residences of the rulers of France from the reigns of Francis I to Napoleon III. Mediaeval, Renaissance and classical in style, several kings have left their mark on the château's history and construction. During your audio guide visit, explore the richly furnished château, its unique collections, and key pieces such as the throne of Napoleon I and the famous horseshoe-shaped staircase. You will also visit the château's spacious private apartments, which enjoyed all the comforts of the age. After the tour, explore the huge grounds surrounding the château, as well as its three picturesque gardens. Departure from Fontainebleau is scheduled for 5 pm, arriving back at our agency in Paris at around 6:15 pm. I would have liked more time at Vaux-le-Vicomte even it that would mean a little less time at Fontainebleau. Excursion was interesting. Well worth the visits. Well organized - fantastic driver - on time - and delivered us to most convulocation for our visits. We’d do it again - thanks ! 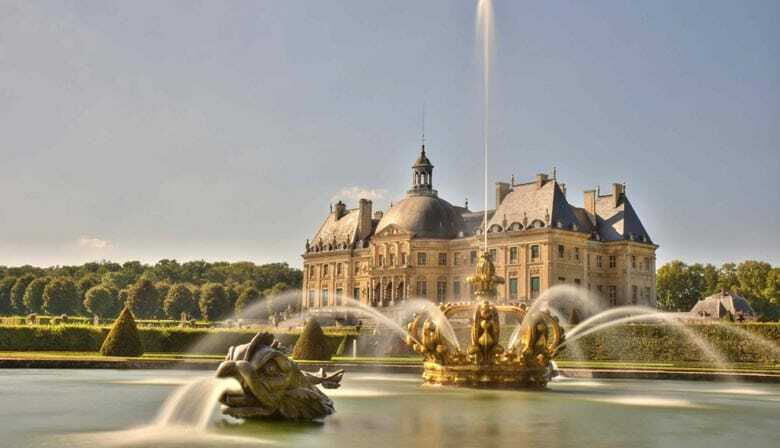 We typically like to take trains and buses, but to go to Vaux-le-Vicompte and Fontainebleau it is difficult to do both easily with public transportation. Taking the unguided tour to there from ParisCityVision did what we wanted it to do- get us there, give us enough time at each chateaux, and get us back. We left at 9:15 and were back around 6:30 pm. The ride was in a large bus, and was comfortable. The company's office near Place de Concorde was efficient but there are no toilets there- we had a quick coffee across the street and used theirs. It turns out that the bus also has a toilet. There was a little confusion at the beginning as the riders climbed on the first bus that arrived and asked the driver if it was the correct bus for the tour (they have several tours leaving at the same time). The driver did not speak English or Spanish (the main languages of the riders) and only shrugged his shoulders when asked. A few minutes later the guide got on the bus and made sure every one was in the right place. The guide gave some commentary to the whole group as the bus rolled on, but most of her time was spent chatting with the few who had paid for the guided trip. The unguided version of the tour is just fine, as the price includes not only entry to the chateaux but also the audioguides. We felt we had enough time at both places (around 3 hours at each place) and were not rushed (we spent a few minutes at each place in the gardens which was enough for us), though if you are one who likes to linger, listen to every single commentary of the audioguide, and in addition wander through the nice gardens you might feel that you did not have enough time. There is a cafeteria at Vaux-le-Vicompte (first place visited) but not at Fontainebleau, so plan according. Expensive, but we really enjoyed our day out; it would have been difficult to see both these wonderful houses in one day had it not been for the tour so it was worth paying. The tour was enjoyable and I'd suggest to others to take this tour.